“Python + Keras + TensorFlow + DeepLearning4j + Apache Kafka + Kafka Streams“. 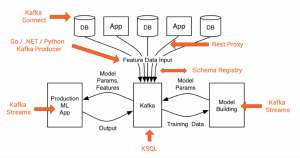 The post explains in detail how you can leverage Apache Kafka and its Streams API to deploy analytic models to a lightweight, but scalable, mission-critical streaming appilcation. If you want to take a look directly at the source code, go to my Github project about Kafka + Machine Learning. 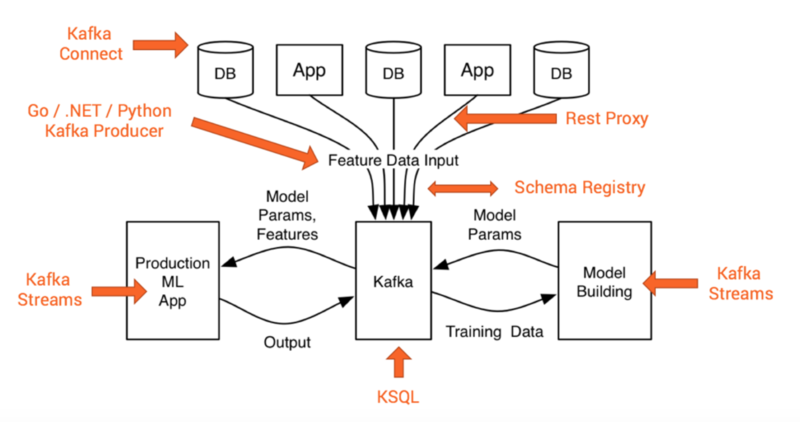 It contains several examples how to combine Kafka Streams with frameworks like TensorFlow, H2O or DeepLearning4J.